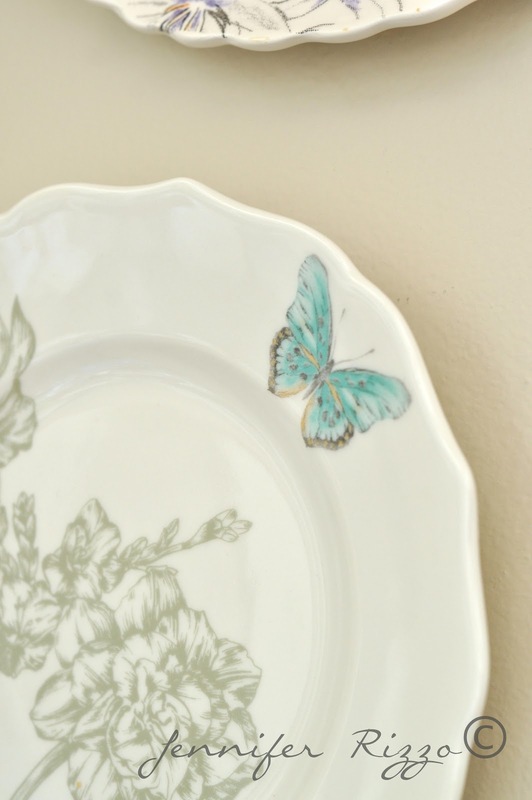 Spring-inspired plate wall and other spring decorating ideas….. Welcome to day 2 of the 6 days of Spring!!!! I am so excited to share my plate wall with you today!!! A long time lover of dish ware, I’ve been hoarding collecting, all kinds of dishes for a while, and had admired these other plate walls. I was ready to change out the silver lids I had left over from the holiday’s and do something fresh. I pulled out all of my plates and dishes and sorted through which ones I wanted to group together. I ordered Dischangers to hang them with, and then laid them out on the floor to see the best way to arrange them. I decided on a mix of new and vintage plates. This one I found at Homegoods. This was an Anthro plate from a few season’s ago. This is one of my favorite vintage French porcelain plates. You know me and birds. Like peanut butter and jelly. I love how they look grouped together. The yellow one near the top on the right is another vintage plate I had thrifted a few years ago and have just hung onto because I loved it so much. I am glad I finally am getting to use it. And they are a nice contrast against the wall too. I like that I can change them out too for a whole new look. 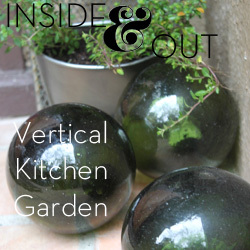 Visit these other blogs joining in on the 6 days of Spring!!! 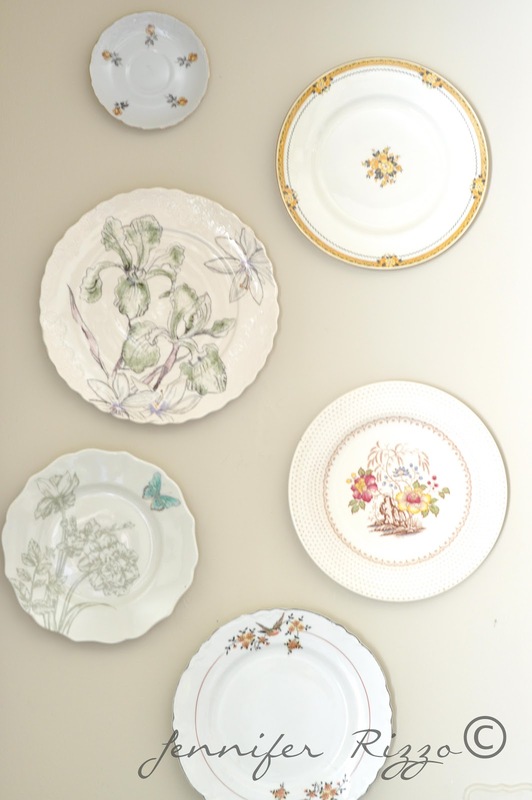 Your plate wall looks beautiful, what a lovely collection of pretty plates! 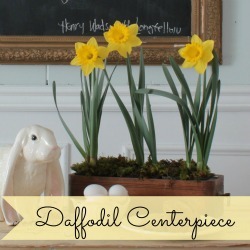 This looks so pretty and is such a nice way to decorate for Spring. You have a lovely collection of plates. My favorite plate is the vintage bird one – oh so pretty! You know I’m all over a great plate wall! Love them near the mirror!! As usual – you rocked it! You have some really pretty plates. I love the French bird plate too. Really beautiful plate wall. love it! especially the bird plate!! 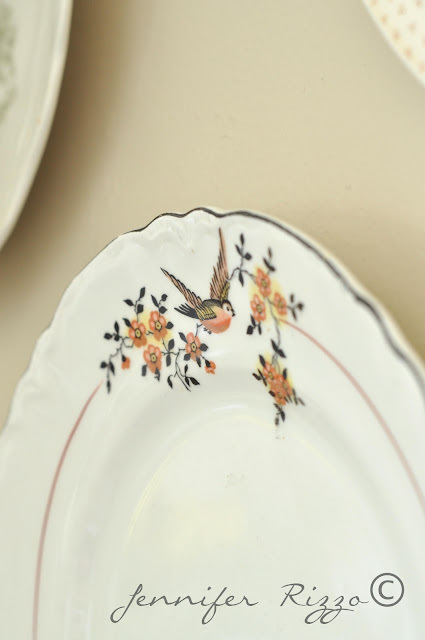 i go crazy when I find old dishes with birds on them!! Love all the different plates you chose. That bird plate is really beautiful, thanks for the fun inspiration! Such a nice display! 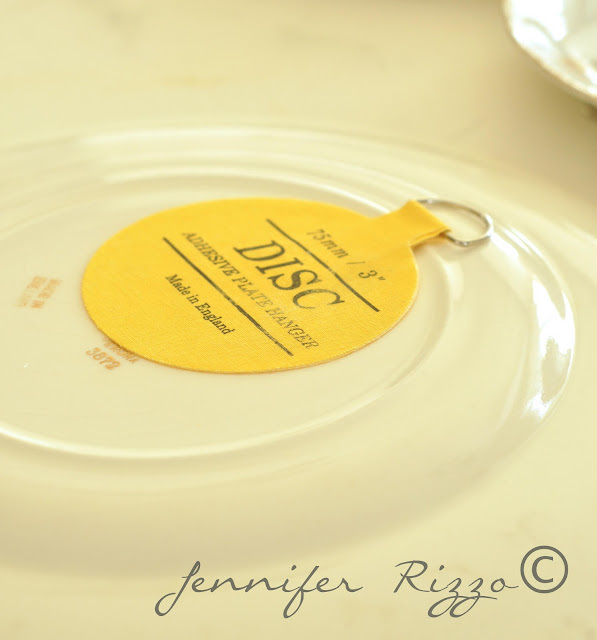 I am a huge fan of Disc hangers…they give a clean look to wall designs with plates. Great job! Very pretty, Jen! Love the different plates you used. I love the look next to the mirror, too. It makes for a nice reflection. 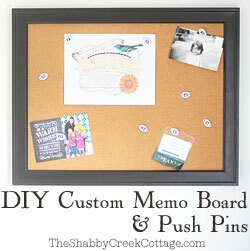 Love this idea Jen! What a beautiful collection of plates and displayed so pretty too!I have seen those discs but have not found those in a store.I need to order some! 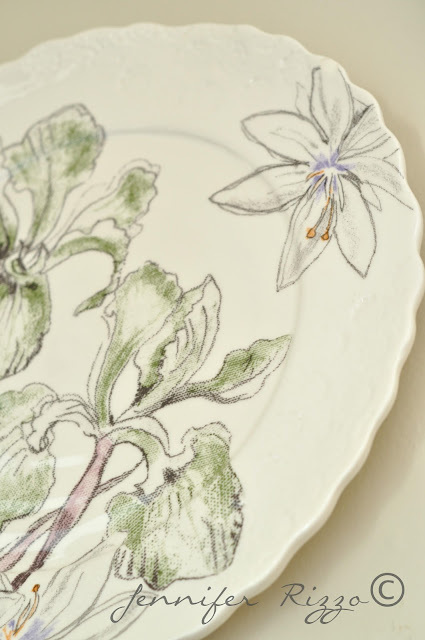 Beautiful composition of plates…they are perfect on your wall! Pretty and fresh! Going to do this one of these days with all the goodwill plates I’ve hoarded. I’ve never seen those plate hangers before. They are so much better than those wire ones. I love what you did. Beautiful, especially next to the mirror. They look beautiful!! I loved the silver lids too! I love the plates, so pretty!!! Your plates are so pretty! Love all the arrangement! I would love to hear how those plate hangers work out because I’ve read mixed reviews about them — people’s plates fall off the wall and break. I love this spring update! Love the plates!!! 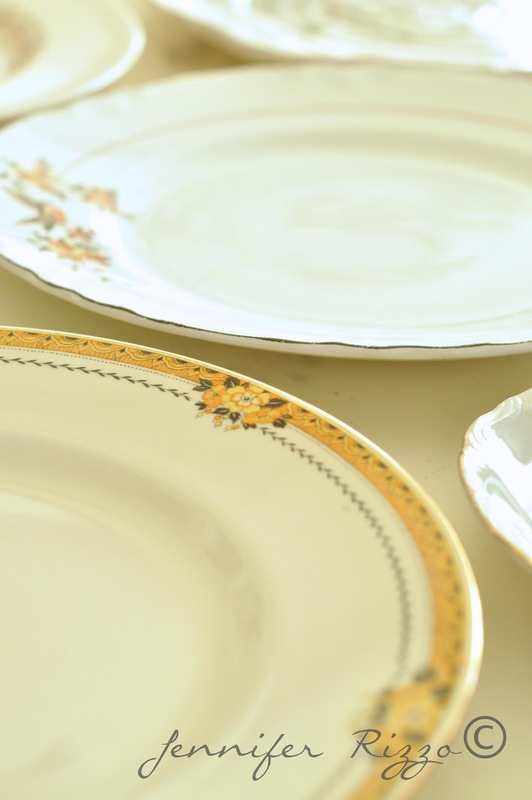 I loved the silver too but the plates are so perfect for Spring!! Just lovely! 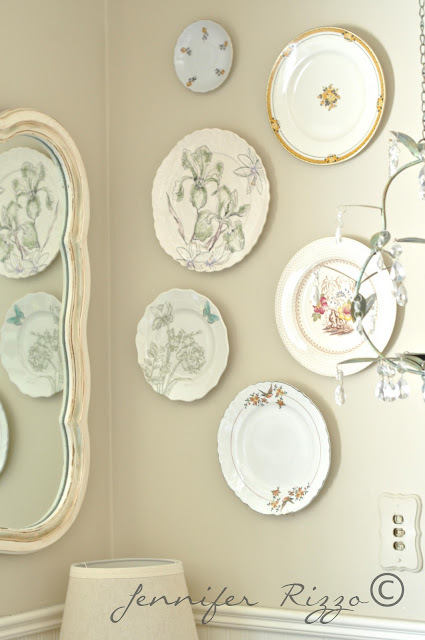 You can NEVER go wrong with plates on a wall! So beautiful!!!!! I love it. I am so ready for spring and all the wonderful bright colors. Thanks for sharing.